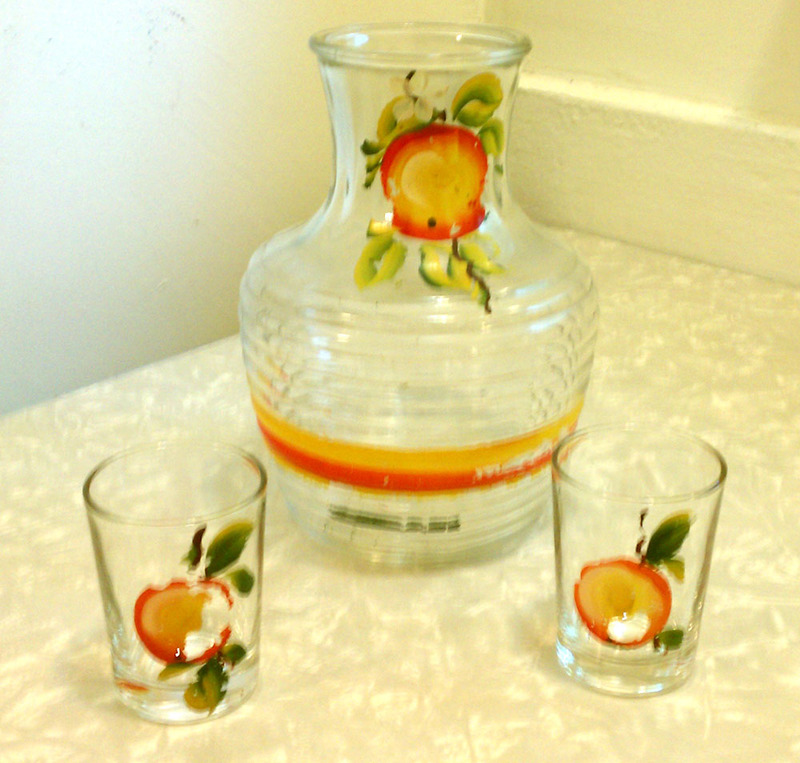 I’ve held onto this vintage glass juice set for years, hoping I could confirm the oranges were indeed hand-painted oranges from Gay Fad Studios. My set has a clear glass ribbed carafe or water jug and two small clear glass juice glasses — each painted with a cheery orange in shades of yellow and orange, and leaves of greens. The pitcher or carafe also has bands of yellow, orange and green painted on it. There probably were at least two more glasses in the set originally, and the paint has flaking; all of which I (oddly) find more charming. The wear is proof of its age and service, and juice for two provides a cozy breakfast scene! In all these years, I’ve never seen another set quite like it — but I’m still rather certain it is a Gay Fad breakfast juice set. The first clue lies in the story of Gay Fad Studios. Fran Taylor, founder of Gay Fad, began her business in 1938. With just a $30 investment, she began painting on glass “blanks” from the major glass companies of the day (such as Anchor Hocking, Federal Glass, Hazel Atlas, and others). By the 1940s, and throughout the 1950s, she and her staff of decorators would make Gay Fad Studios a major glassware design company whose pieces are heavily collected today. Production of the Manhattan pattern began in 1938 — the same year Taylor began her glassware painting. The pattern was retired in 1943, making it a true Depression era pattern, and soundly keeping the piece within the Gay Fad Studios lifetime. 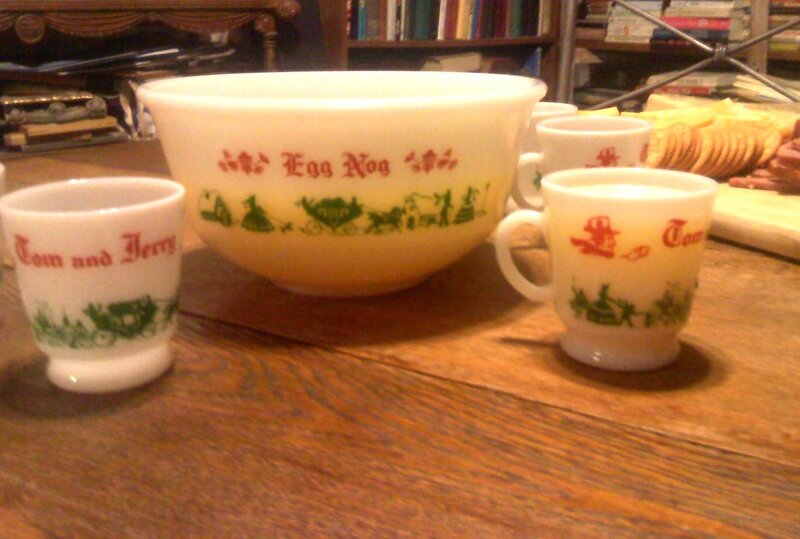 So even though I’ve never seen another set like this — not by Gay Fad , Anchor Hocking, or anyone else — I’m fairly certain this is a vintage Gay Fad glass juice set. …Of course, it could be hand-painted by anyone too. So any help is appreciated!